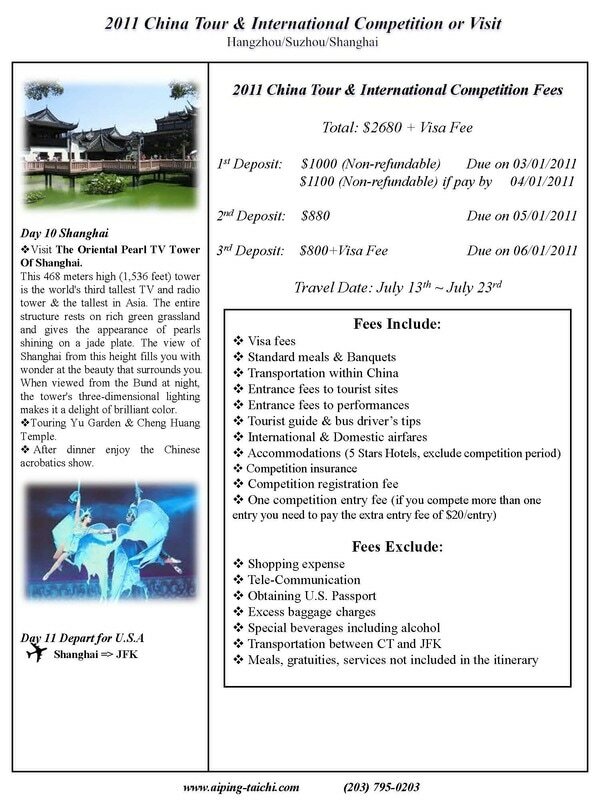 Grandmaster Aiping Cheng regularly organizes tours to famous locations in China. 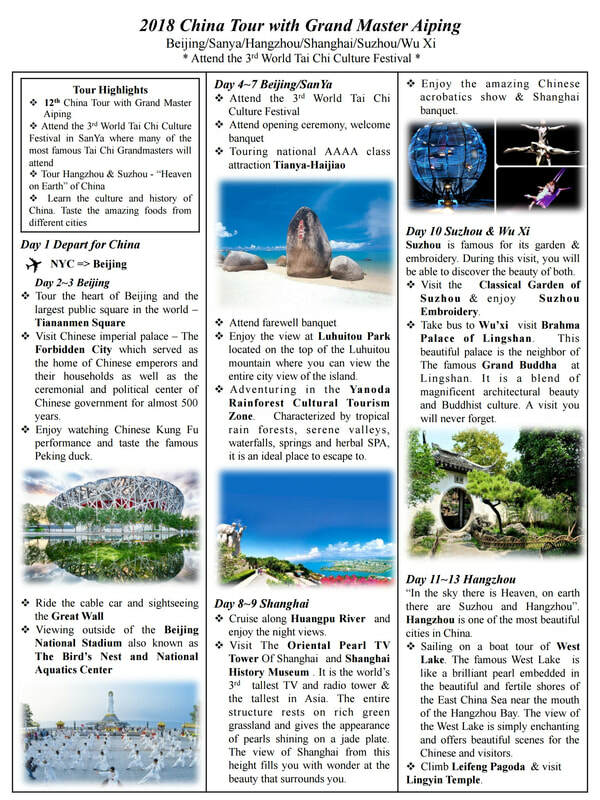 Each tour is personally planned by Grandmaster Cheng to maximize time spent at each culturally significant location. ​The tours are open to all interested in attending, non-students are welcome to participate. The next China Tour will be in the fall of 2020. Please stay tuned for more information. 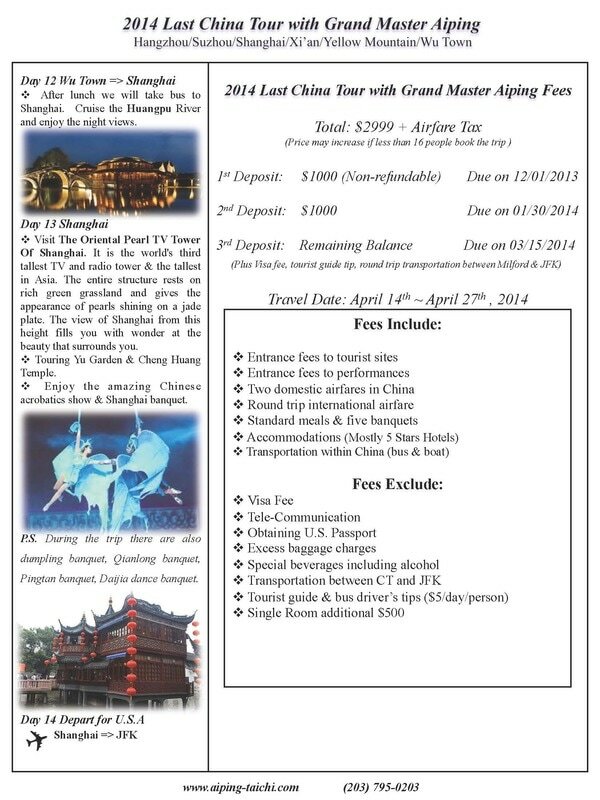 Fill out our Contact Form if you're interested in learning more about the next China Tour. 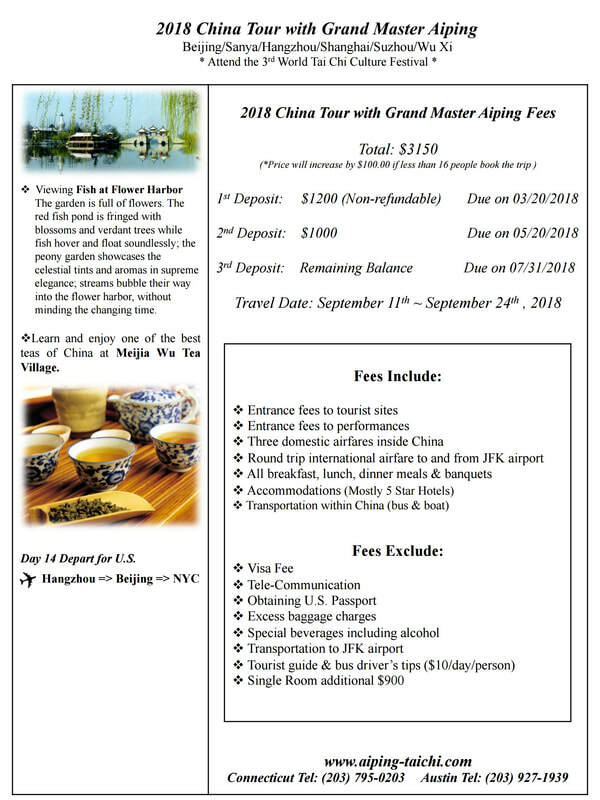 Grandmaster Aiping led a China tour from September 11 through September 24, 2018. This tour included attendance to the 3rd World Tai Chi Culture Festival in SanYa (Hainan island), which is considered the Hawaii of China. Grandmaster Aiping was one of the honorees at the World Tai Chi Culture festival where hundreds of tai chi masters from around the world attended. Grandmaster Aiping brought the tour attendees to the opening and closing festival banquets and her students joined her to perform at the Master's Demonstration. 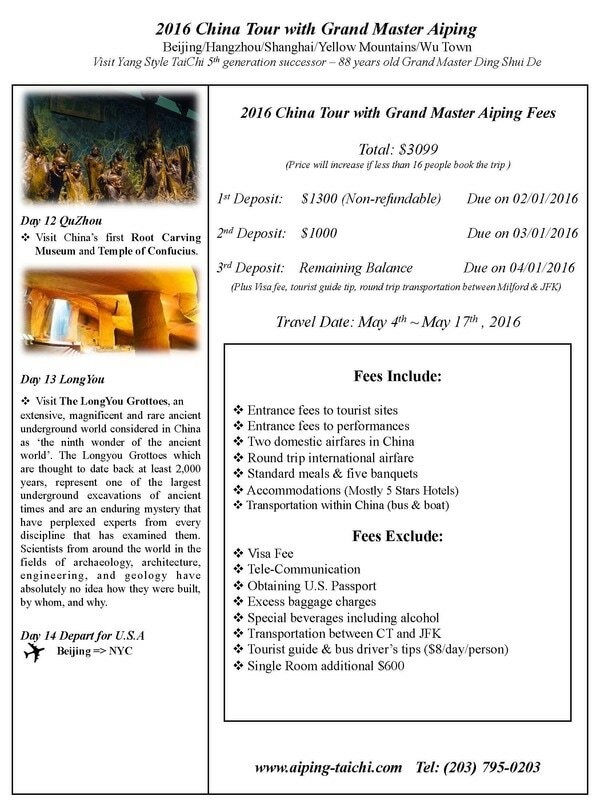 "Every two to three years Ai Ping has organized a China tour to benefit her students. I have been on two of the trips. Both were culturally enriching and very enjoyable. Everything about the trip is first class from hotels and restaurants to tourism and entertainment. From the time you take the limo to the airport, everything is taken care of, till you step off back home on the return limo. All meals were provided. Every day began in a five star hotel with a sumptuous buffet style breakfast, consisting of continental cuisine, Chinese dishes, and delicious fruits, melons, and vegetables, I had never seen before. The other meals were usually ten to twelve varied courses in excellent restaurants, and Chinese food in China is VERY GOOD. The first trip started in the ancient capital city of Xian. Some of the memorable sites were the Xi’an City Wall, the terra cotta warriors, and the Ling Shan giant Buddhist shrines. The tours are led by experienced tour guides and drivers. 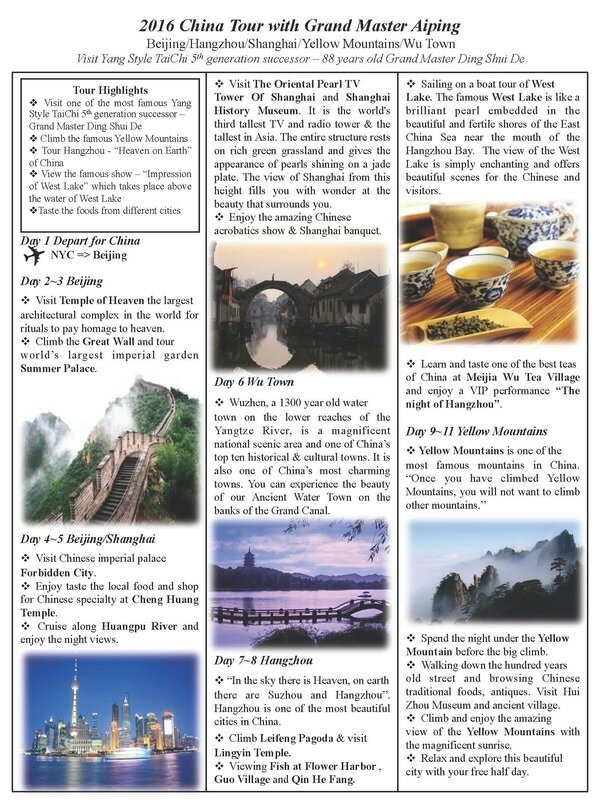 The guides spend a great deal of time explaining Chinese culture and history. We traveled to Xian, Wuxi, Beijing, Hangzou, Shanghai, and many smaller cities. Each city has a long history with its own legends and myths. We attended several shows in several cities highlighting their individual history and culture. The shows consisted of historical drama, musical productions, and lots of acrobatics. All were on a grand scale reminiscent of the 2008 Olympics, with large stages and glorious choreography. The most spectacular was the late night show in Hangzou, The West Lake Show with stage and theater machinery set just below the lake surface. The actors and dancers actually walk, dance and perform on water. It combined colorful lighting, huge sets, sea battles, beautiful music and dance. The story was based on romantic folklore. The action takes place literally on the lake, with incredible special effects and lighting displays. There is a lot of water splashing, so you are given rain ponchos on the way in. In Shanghai we attended a production, where the seats were on rollers and entire sections of the audience were moved around to follow the action. We traveled in comfortable buses, and the scenery was magnificent. There were mountainous areas similar to Vermont, but covered in bamboo, that seemed to breathe with the wind, almost like the mountains were alive. Then there were many hilly areas covered with tea plants arranged in terraced arrangements almost like giant staircases. 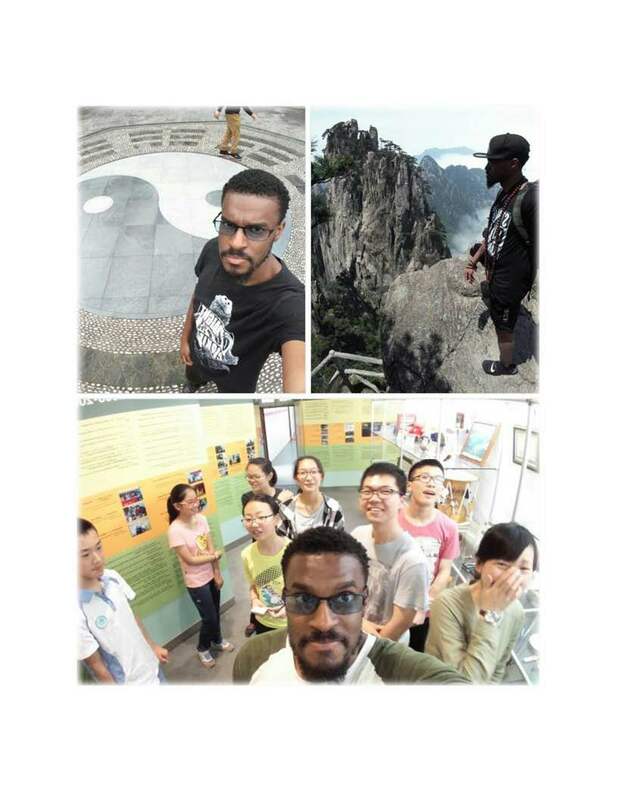 The scenic highlight was visiting the Yellow Mountains, with breathtaking panoramic views. Visiting China is a revelation. 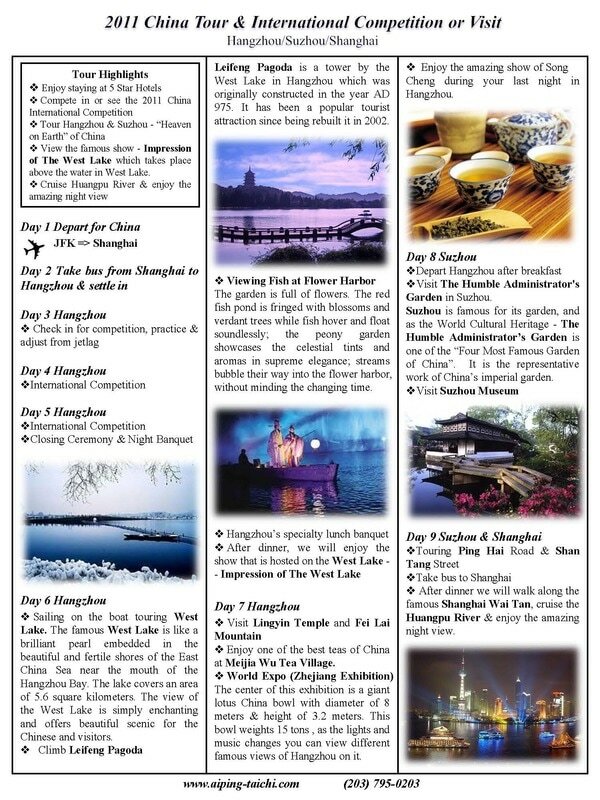 There are giant mega cities like Shanghai with incredible infrastructure and technology, while there are cultural sites and monuments displaying thousands of years of history, culture, and philosophy."